The latest campaign-finance reports show that U.S. Sen. Roy Blunt, R-Mo., has almost three times as much money in the bank as his Democratic rival, Missouri Secretary of State Jason Kander, as the two prepare to face off next year. Blunt has about $4.37 million in the bank, compared to $1.5 million for Kander. That’s a slight increase in Blunt’s edge reported last summer. Blunt also outspend Kander by about a two-to-one margin. The latest totals come from the candidates’ latest campaign-finance reports, due Thursday. They cover the three-month period ending September 30. Both candidates provided advance copies of their reports’ summary pages Wednesday to St. Louis Public Radio. Since July 1, their pace of fundraising is fairly close. Blunt has raised $1.27 million since July 1st. That compares to $827,000 for Kander. Blunt has been aided, in part, by stronger support from political action committees, which gave him $337,987 during the three-month period. But he collected no money from GOP party committees, which have given him money in the past -- and most likely will do so in the future. Kander, meanwhile, collected $94,900 from political action committees and $46,800 from committees tied to the Democratic Party. That’s an increase from his party support this summer. 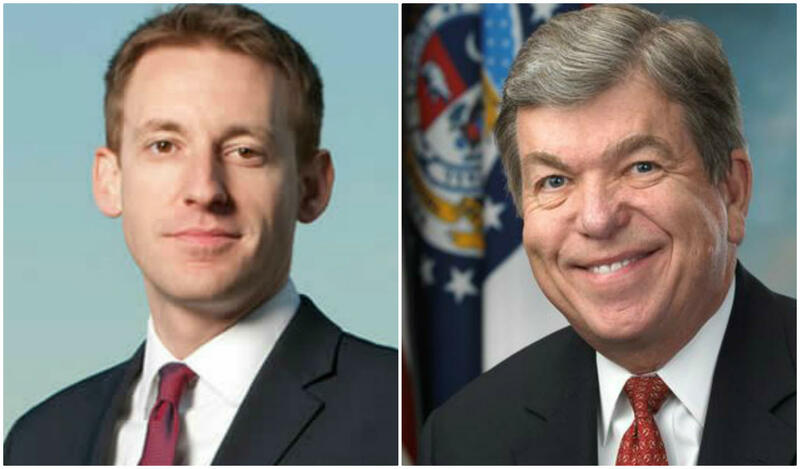 Blunt reports spending $737,033, compared to Kander's $360,465. Blunt spent significantly more than he reported in July ($530,698), signaling that his campaign activities are ramping up. Kander's spending is up just slightly from last summer, when his expenditures for the previous three months totalled $327,361. All Missouri candidates for state, congressional, legislative and local offices are required to file reports Thursday. All but the congressional candidates must submit their reports to the Missouri Ethics Commission, while the congressional candidates file with the Federal Election Commission or -- in the case of Blunt and Kander -- directly with the Senate, which then forwards the reports to the FEC.